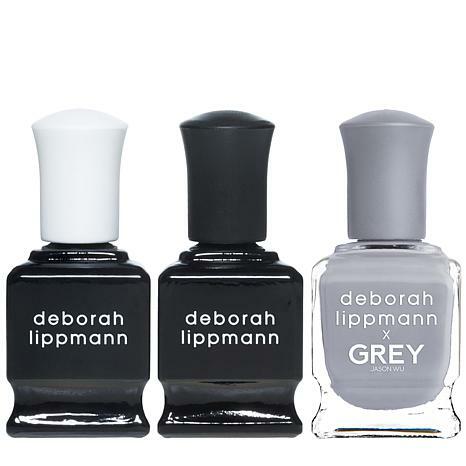 Dear friends and longtime collaborators, Deborah Lippmann and Jason Wu have joined forces to create Grey Day, a limited-edition nail polish inspired by Jason Wu's ready-to-wear collection, GREY Jason Wu. In this set, Deborah is giving you the opportunity to try her iconic Gel Lab Pro base and top coat system along with this collectible, fashion forward shade to inspire you looks this upcoming season. 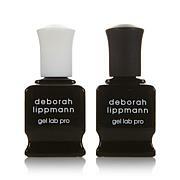 Apply one thin layer of Gel Lab Pro Base Coat and wait 2 minutes to dry. Apply sparingly to avoid uneven coating. Follow with two coats of nail color and wait 2 minutes to dry after each coat. Polish lasts longer! Gray is great! I have noticed a real difference in how long my manicure lasts when using the Gel Lab Pro base and top coats. I use my hands constantly and it is difficult to go too long without chips or even peeling. I see a huge improvement with this set. It is important to follow directions and allow time between each coat. The gray is a very pretty gray because it doesnt seem to have as much yellow in it as other gray polishes, and my hands do not look as red with this gray. Very happy with this item! I love her nail products! Definitely worth the price. My polish stays on for at least a week with no chips or peeling. They are also so much stronger. I love it! I had "high hopes" for this set and really loved the gray color in the polish but I was more than disappointed with the results of the product! I took the entire set to my nail salon and had my nail tech use the system according to the directions and it chipped the next day! Two nails chipped and one nail peeled in the first three days. I was forced to remove the entire mani by day 4 and am cancelling my auto ship on the other Deb Lippmann kit that I purchased. Not pleased with quality!